A ubiquitous chemical found in plastics, soup can linings, and receipts, bisphenol-a is just one health-compromising substance that has been under fire for many years. While the scientific community has gathered ample evidence regarding BPAs toxic effects, the chemical is still widely used today. Adding to this evidence, recent research has found that BPA could negatively impact brain development by disrupting a gene responsible for proper nerve cell function. For the study, which was published in the journal Proceedings of the National Academy of Sciences and conducted by Duke University researchers, it was discovered that BPA could negative effect central nervous system development by disrupting a gene called Kcc2. With the disruption of this gene, it can no longer properly produce proteins partly responsible for removing chloride from neurons. If chloride can’t be removed, then the functioning of brain cells is hampered. 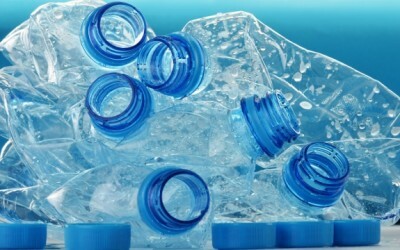 Unfortunately, avoiding BPA is not quite as easy as it should be. Despite the endocrine-disrupting chemical being linked to reproductive problems, obesity, diabetes, and now negatively altered brain development, the FDA rejected BPA’s ban back in March 2012 – so now consumers need to look out for the chemical for years to come. Avoid using plastics whenever possible. Instead, use glass and filtered water for your bottled water. If you do use plastics, look for the recycling symbols with the numbers 2, 4, and 5. Avoid recycling symbols 3, 6, 7, and 1. Wear gloves if you’re constantly handling receipts or currency. Take probiotics, as they could degrade BPA. Consume more royal jelly, which has been found to halt estrogenic effects of BPA.